It’s that time of the year when everyone (er, everyone I know :-)) wants chocolate. I love hot chocolate, and the thicker, and darker it is, the more I like it. 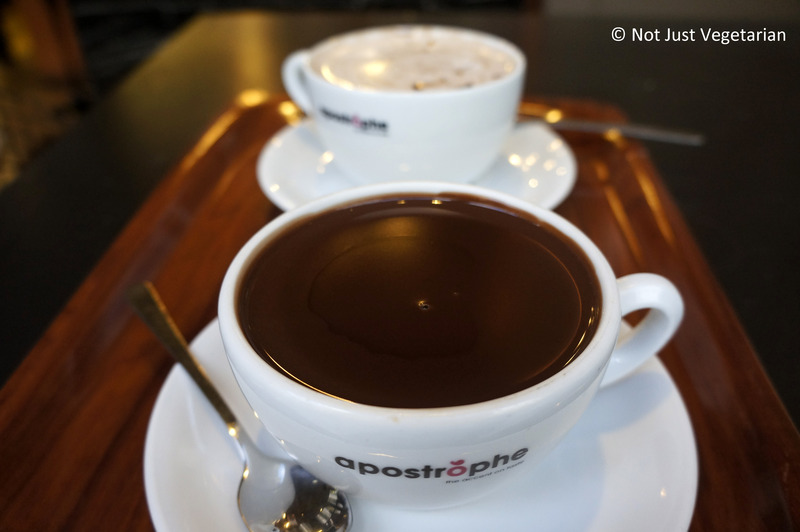 A thick, hot chocolate (with no sugar) at Apostrophe is one of my favorite hot chocolates – although the small cup is too rich for me to finish. 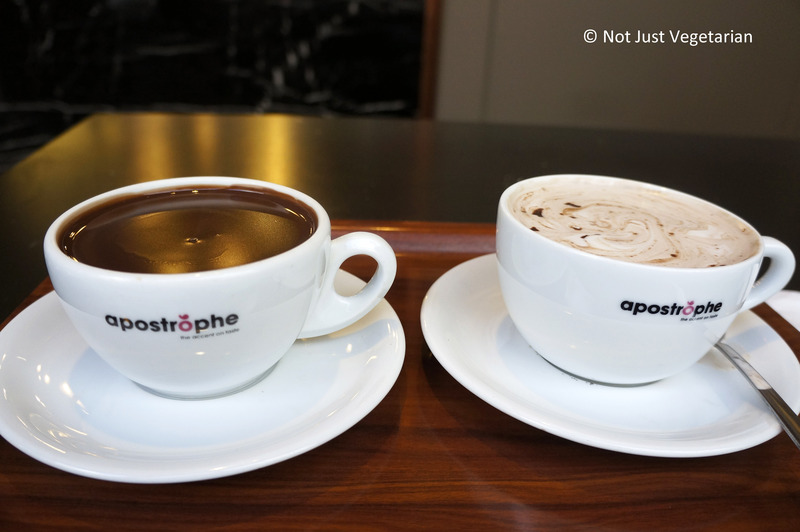 The “milky” version served at Apostrophe is certainly lighter for those who like their hot chocolate with more milk. Apostrophe serves fresh handmade vegetarian and not vegetarian soups, sandwiches and more made from raw ingredients sourced every morning from Covent Garden. Apostrophe’s website says that its regularly voted as the “Best hot chocolate” in London, but it hardly says anything about where it sources its cocoa from. Does anyone know? In fact, there is more information about coffee on its website than cocoa. Meanwhile, are there other restaurants in London that serve such a rich and thick dark chocolate? Cafe Brera comes to my mind – a post is due on Not Just Vegetarian…. There are so many locations of Apostrophe in Central London, that one is never too far from a thick, decadent, dark hot chocolate….